Printing costs are included with the Product cost (flat), listed to the right of each product below. 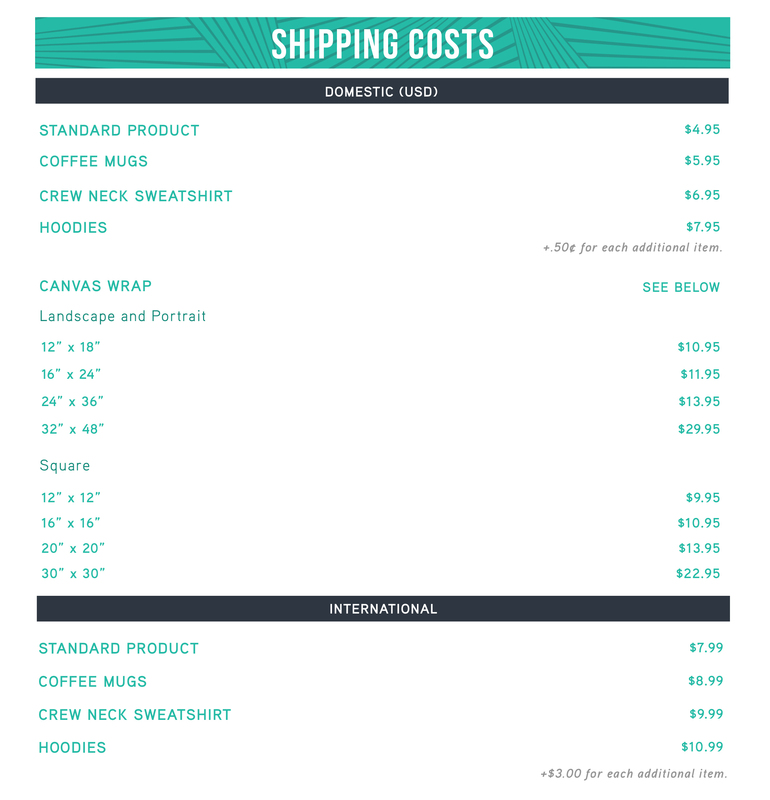 Shipping cost is separate from the printing & product cost, you will see this listed at the bottom of the chart. Products that do not have their own shipping cost listed are considered a "standard product". 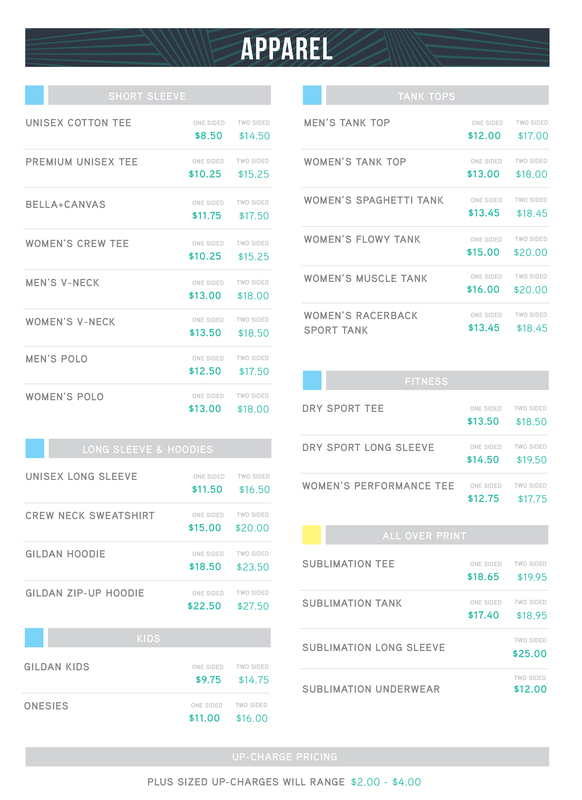 You'll configure all of your store's shipping rates and methods from the Shopify Shipping settings page. Viralstyle Fulfillment will automatically process, print & ship your orders if the "Auto-fulfill" setting is turned on (is by default). You are not required to set up shipping methods or generate/request/send shipping labels when using the Viralstyle Fulfillment app, this process is automated from our side. For automated notification email settings, please see the article below. You will see a suggested "selling price" on the Launch page, which does not include the Shipping cost. You are able to adjust the selling price to meet your desired profit before you import the product(s). 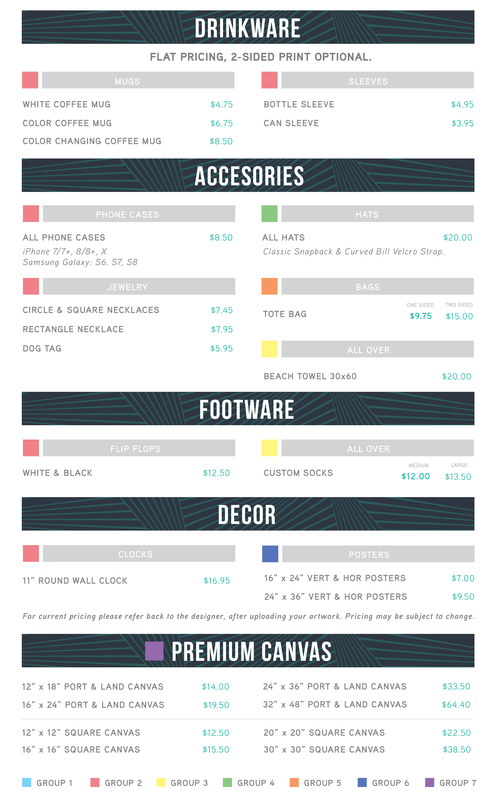 The color coding is a reference to each of the products groups, which will determine shipping costs for each order. Each product group that has the same color on the chart, is in the same Shipping group. Different product groups are printed & shipped from different Viralstyle Fulfillment facilities across the USA, so we must charge individual/separate shipping costs for each product group/color (even if they're in the same cart, added by the customer). Although the Hat & Towel are both considered "Standard Products", they are in different product groups when looking at their color. This means they're coming from different facilities, which is why there would be separate shipping costs on each of these products. However, if the customer ordered 2-Hats for example, the shipping cost would be $0.50 for the additional product (Hat) because they are coming from the same facility. The second Hat in this customers order will only cost $0.50 in shipping, because it is the second product added to their cart in the same product group.